Here in the town of Rumney, in the shadow of Rattlesnake Ridge, the remarkable history of this place and this nation unfolds like the oxbows, riffles, and rapids of the river that meanders through its valley. Originally the Asquamchumaukee was variously translated as “place of mountain waters” and “salmon spawning place” from the Algonquin language of my Great-Grandmother and later renamed by European settlers for Lt. Thomas Baker. He led a raid on a temporary fishing encampment of Pemigewasset Indians at the confluence of the Baker and Pemigewasset Rivers – attacking while the men were off hunting – and killing and scalping the women and children remaining in camp. Wayne D. King was recently honored for his InDepthNH.org political column, “The View From Rattlesnake Ridge” by the New England Newspaper and Press Association at their annual dinner in Boston. It was here too that John Stark, later credited with the famed phrase “Live Free or Die” was taken captive by Abenaki warriors and then adopted into their nation – so impressed were they by his bravery in the face of danger. Stark’s leadership at the Battle of Bennington is often credited as the turning point of the American Revolution. Just a few hundred feet from the Rattlesnake Mountain Trail that leads to the top of Rattlesnake where the twice-burned-over-summit looks down upon the meandering river as it makes its way to join the Pemigewasset River in Plymouth, is a granite marker denoting the birthplace of Nathan Clifford, United States Supreme Court Justice. Clifford was self-taught in the law and ended up on the Supreme Court for almost 23 years. In 1877 Clifford was the Chairman of the Presidential Commission that decided the outcome of the Tilden v. Hayes Presidential Election; the closest election in American history to that point. He was on the losing side of the outcome if one considers the political party he had served for years before becoming a judge, but in an act of American heroism, he cast the deciding vote to seat Republican Rutherford B. Hayes. Clifford was by no means a perfect man – or jurist – and there is much speculation about what went on among the members of this commission behind the scenes but the fact remains that Clifford accepted the outcome, even though it was not his preferred outcome because he was dedicated to the democratic process. With this history in its rearview mirror, it’s no wonder that many of the people who live in the shadow of Rattlesnake Ridge have an allegiance for the role of the court in steering the ship of state. Clifford was not the first nor the last Supreme Court Justice to find that the role of a Justice was bigger than party politics. He was not the first or last to realize that the interests of the country and the constitution were bigger than the passions of the day. To some extent, almost every Justice discovers this after they have been welcomed into the country’s most elite club. It’s why we hear stories of the deep friendships between judges like Ruth Bader Ginsburg and Antonin Scalia. However, some Justices, and particularly Chief Justices are summoned to a higher calling than even their esteemed colleagues. Chief Justice Earl Warren was one such Justice. Appointed by Eisenhower as the Chief Justice during the turbulent days of the Civil Rights movement, Warren had not been a judge prior to his appointment. Of all Justices – having been a prosecutor first and then Governor of California – he might have been expected to take a more partisan approach. Yet Warren would rise to the occasion in a way that has made him one of the giants of Supreme Court history, building the consensus for a unanimous decision in Brown Vs. Board of Education and shepherding other decisions such as the Miranda decision and the Baker Vs. Carr decision that solidified the “one person one vote” concept. Chief Justice Roberts’ own personal hero is Chief Justice John Marshall – probably the most extraordinary man among the founders, beside George Washington, and the man who is credited with saving the nation in the post-revolutionary period when the passions and rivalry of Jefferson and Adams threatened to tear apart the young nation. Marshall carved a careful path between the Federalists and the Anti-federalists, employing humor, civility, and humility to strengthen the Courts as a genuinely co-equal branch of government. With his Marbury vs Madison decision that made the US Supreme Court the final arbiter of what was constitutional his court stabilized a country rocked by turbulence, rioting, and discontent. In recent months there has been a general sense of alarm among the more conservative court watchers that Chief Justice Roberts has been leaning more and more to the left. Recent decisions where he has sided with the more liberal justices have caused them to raise the alarm but there is more at play than meets the eye. 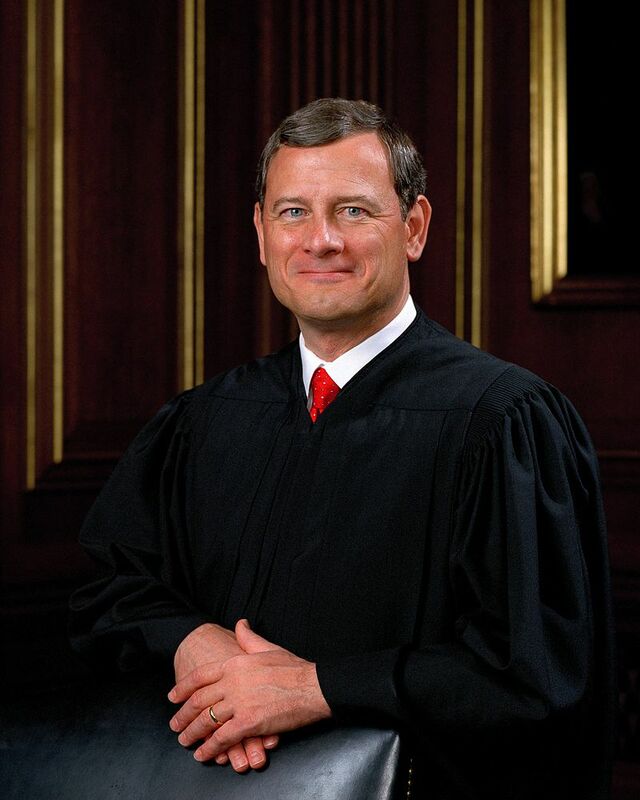 Make no mistake about it, John Roberts is a conservative but more important than even that, he is an institutionalist. In his zeal to protect the integrity of our Judicial system he is quite likely to become the new swing vote on the court. Seeking to find common ground that reflects both the country’s direction and his allegiance to the Constitution. As the Trump administration continues to spiral downward, even while a majority of elected Republican representatives and his base seem willing to suspend all that they have stood for since 1946, Chief Justice John Roberts can’t help but be thinking that the role of the court in preserving the Republic has suddenly become far more imperative than hewing to an ideological line. The partisanship of the Kavanaugh nomination process can only have further stoked the flames of his concerns. Among Democrats, panicked by the conservative shift in the Supreme Court, there have been various “reforms” contemplated, and in some cases proposed; from some version of Franklin D. Roosevelt’s court-packing scheme to term limits for judges. Short of a constitutional convention, that most experts agree would be a bad idea, none of the ideas are immune to change the moment the other party controls the levers of power. Those who are most vocal, particularly about expanding the Supreme Court, justify their proposal by pointing to the stolen election of judge Merrick Garland who would have maintained some semblance of balance on the court. But meeting the outrages of the Republicans over the Garland nomination with further offenses against the norms and values of our democratic system only takes us deeper into the darkness. Stepping back from the brink requires that one party or the other, or in the best of all worlds both, say “no more” to the growing violations of American values and political norms. Just as important, it requires all of us to stand behind those who halt our drift, irrespective of their political party. It also requires all of us to join in a new “21st Century Federalism.” A community by community, state by state, region by region, contest of ideas to define the national norms of our democracy. As Dean Heather Gerken of Yale University, who has done the deepest thinking on this subject says, we all have to “suit up” because you can only win if you are in the game. Short of a lightning strike the Supreme Court is not going to change dramatically. If We the People actively help define the direction of our country, I’m betting that Justice Roberts will take notice. Progressive Federalism: A New Way Forward? 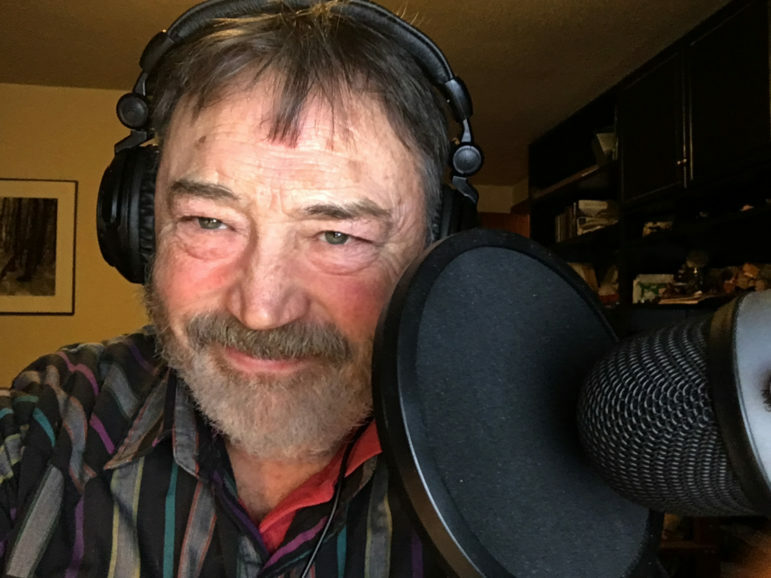 About Wayne D. King: Wayne King is an author, artist, activist and recovering politician. A three-term State Senator, 1994 Democratic nominee for Governor, former publisher of Heart of New Hampshire Magazine and CEO of MOP Environmental Solutions Inc., and now host of two new Podcasts – The Radical Centrist (www.theradicalcentrist.us) and NH Secrets, Legends and Lore (www.nhsecrets.blogspot.com). His art is exhibited nationally in galleries and he has published three books of his images and a novel “Sacred Trust” a vicarious, high voltage adventure to stop a private powerline all available on Amazon.com. He lives in Rumney at the base of Rattlesnake Ridge. His website is: http://bit.ly/WayneDKing . You can help spread the word by following and supporting him at www.Patreon.com/TheRadicalCentrist .